Subramanian brings more than 15 years of experience in finance, media and operations to Fusion Media Group. Fusion Media Group (FMG) and Univision Communications Inc (UCI) today announced that finance executive Anu Subramanian has been named Chief Financial Officer. Subramanian has more than 15 years of experience in finance, media and operations. She will dual report to Felipe Holguin, Chief Executive Officer of FMG and Peter H. Lori, Executive Vice President, Finance, Chief Accounting Officer & Deputy Chief Financial Officer at UCI. Subramanian most recently served as both CFO and COO of Vice Media’s digital division. Prior to her time at Vice Media, she spent seven years at Scripps Networks Interactive in various roles, ascending to CFO and Head of Finance for the programmer’s digital business. Before joining Scripps, she worked at Citigroup, providing clients in the media and telecom space with M&A and capital advisory services. She has also held positions at Goldman Sachs and Ernst & Young. 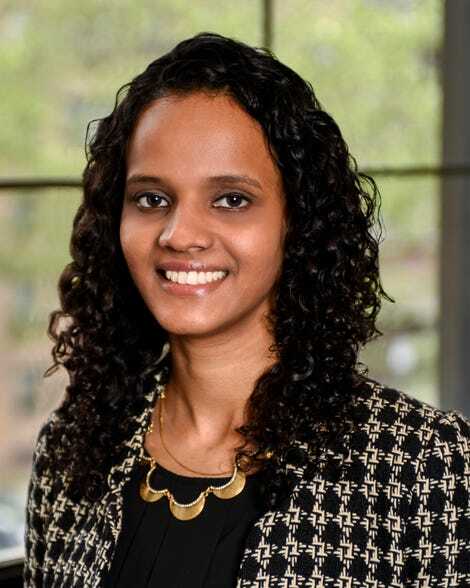 Subramanian earned her Master of Business Administration from the Yale School of Management. Subramanian graduated from Delhi University and is an accredited Chartered Accountant, the equivalent of a CPA in India. Fusion Media Group (FMG) is a media company that connects with the young, diverse audiences that are shaping our future. Through fearless journalism, provoking comedy, and high-impact storytelling FMG elevates the stories and issues our readers and viewers are passionate about. FMG is one of the leading digital publishers in the U.S., serving over 120 million readers a month—more than one-third of all Americans. FMG includes some of the web’s most beloved media brands under one roof, including The A.V. Club, Clickhole, Deadspin, Earther, Gizmodo, Jalopnik, Jezebel, Kotaku, Lifehacker, The Onion, The Root, Splinter, The Takeout, and others. In addition, FMG produces content across a range of formats and platforms through the FUSION cable network and its long-form development and production division, FMG Studios, which includes Story House Entertainment and Onion Studios. More at theFMG.com. Alex is a Communications Manager at Fusion Media Group. Previously, he served in editorial positions at Cablefax and SportsBusiness Daily. He is a graduate of the Missouri School of Journalism.